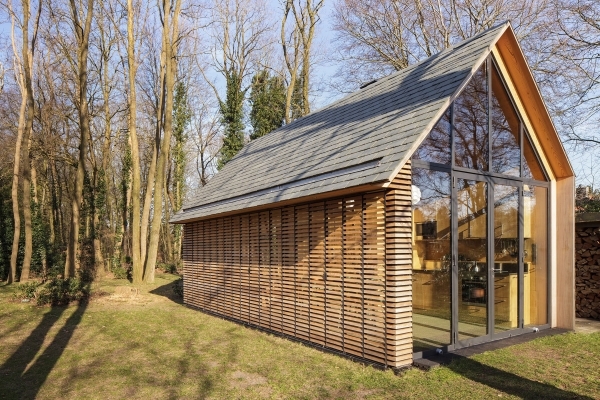 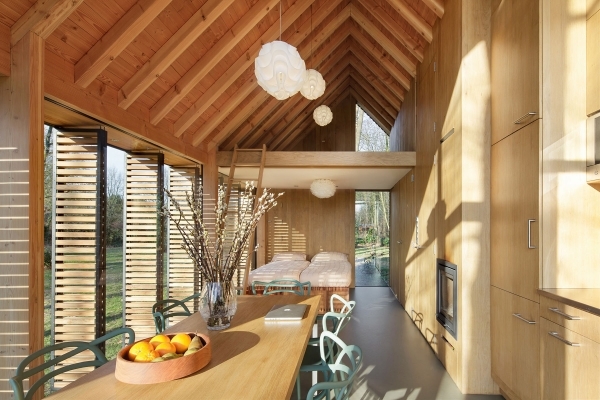 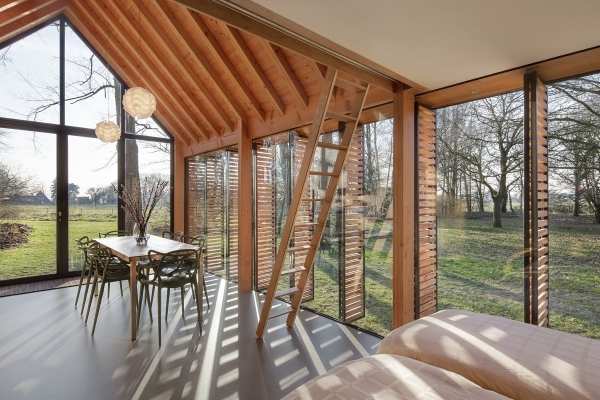 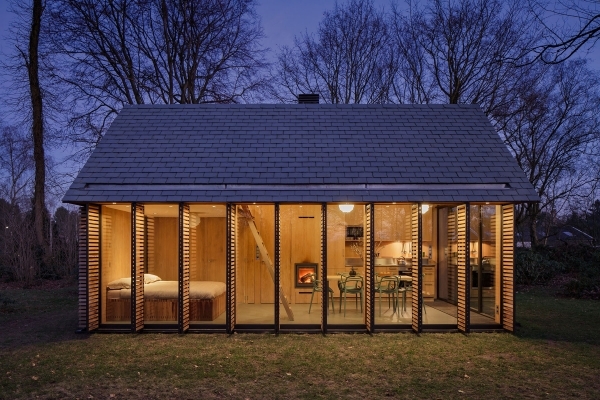 Embedded in a rural setting north of Utrecht in the Netherlands, this lovely design from Zecc Architecten and interior designer Roel van Norel reinterprets rustic profiles and conventions to create a truly contemporary living option within them. 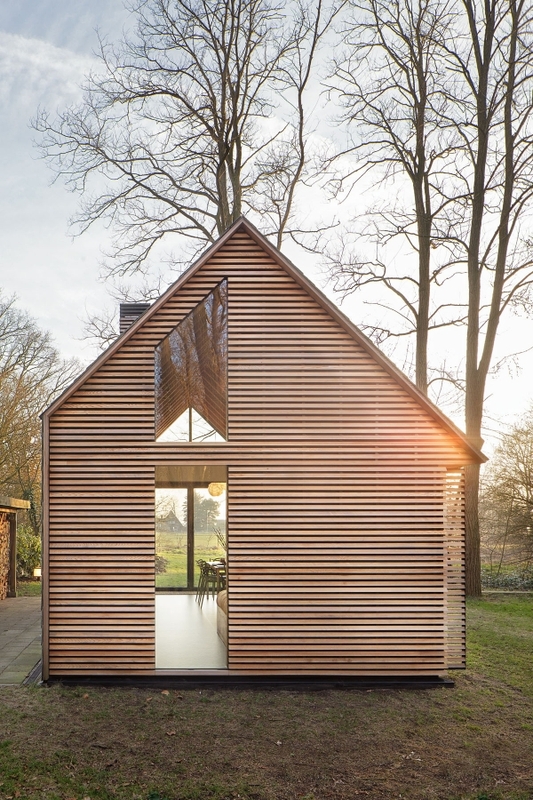 The quintessential shed here takes form as a modernist glass house, wrapped in a play of light and texture to bring something special to the mix. 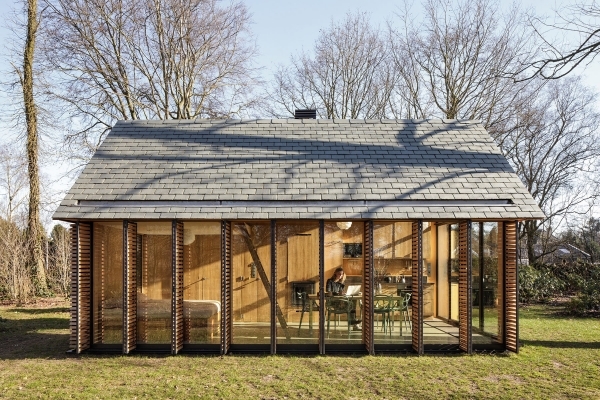 Nicknamed the ‘Recreation House’, this modern small cottage embodies a much grander vision within its humble footprint, thanks to its elegant and authentic style. 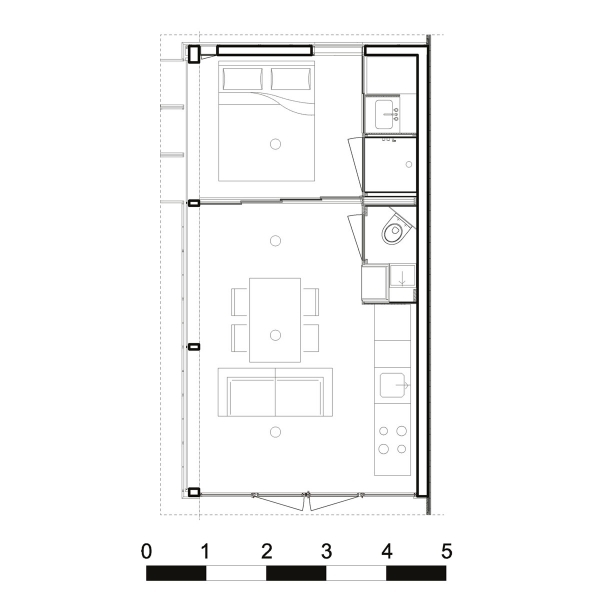 The house is laid out simply and effectively, with the social core – living, dining and kitchen – located to the front of its singular volume. 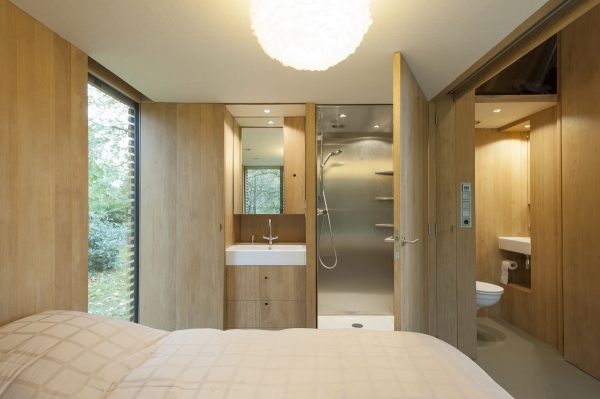 The bedroom is tucked away at the back enjoying the privacy thus afforded; a moving screen helps create a greater degree of segregation between the two zones if and when required. 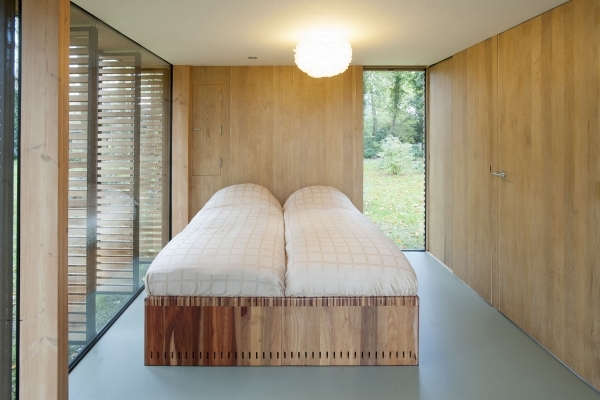 A loft space above offers a flexible space for variable use through the year, also doubling up as additional sleeping space when guests come knocking. 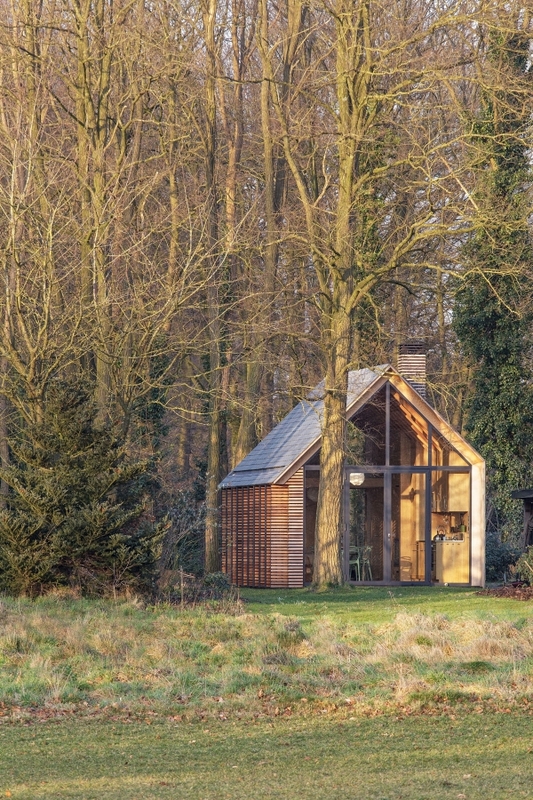 The modern small cottage is craftily designed, integrating a host of spaces, features and storage options within its consolidated shell. 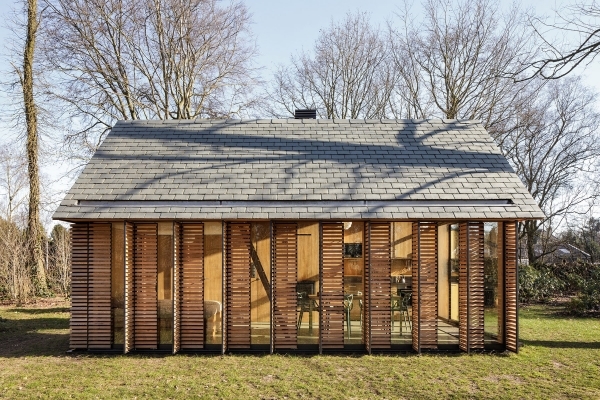 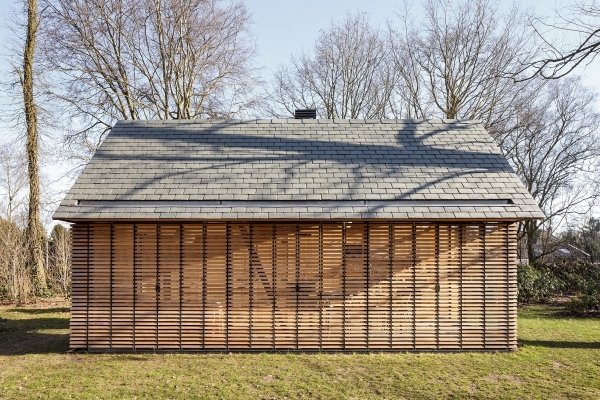 Its true distinguishing feature however is its façade, comprised of a series of oak wood window shutters that shift and morph the quality of light, view and privacy within the house.